Foot Pain Treatment Mississauga happens at PhysioNow. Blue Jays’ Jose Batista hurt his big toe during a June 16 game against Philadelphia. After running into the outfield wall, Bautista had to leave the game early because of pain. An MRI showed that he had suffered a sprain of his left big toe and has to be in a walking boot for the time being. It may seem like it’s an excessive treatment plan for just a simple sprain. In reality sprains can sometimes be more complicated than a fracture. A sprain is defined as a stretch or tear of a ligament. A ligament is a soft tissue structure that connects two bones together. Ligaments do not receive a good blood supply like muscles or tendons and as a result, they do not heal as well. Furthermore, sprains can be classified into three groups based on the severity of injury. A grade I sprain means that there is mild damage to the ligament and the joint is stable. 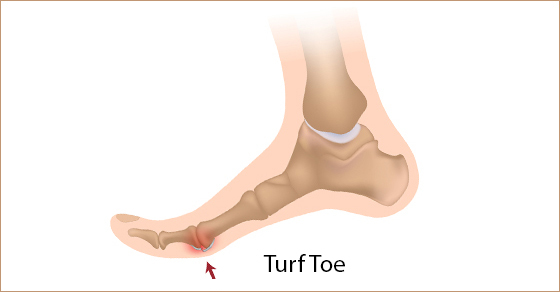 A grade II sprain means that there is a partial tear in the ligament and the joint is overall less stable or loose. The most severe type of sprain is classified as grade III and it means that the ligament has completely torn or ruptured and the joint has lost stability. Types of Foot Pain Treatment Mississauga: How Can Registered Physiotherapy Help? A Registered Physiotherapist is able to help with all three types of Foot pain treatment Mississauga. The treatment for sprains usually starts with rest and reducing inflammation. Depending on the severity of the sprain, it may be necessary to immobilize the joint in order for this to occur. For example a grade II sprain may require a removable walking boot. A grade III sprain may require a cast. Once inflammation is reduced and pain is better, treatment seeks to improve range of motion and strength. A full return to activity or sport quickly is the goal of Physiotherapy Treatment Mississauga. Since Jose Batista has been wearing a walking boot, it seems that his injury is at least a grade II. Considering the poor blood supply of ligaments and the severity of his particular sprain it is definitely best for him to be out of the game for at least 2 weeks. Proper care in the early phase of this injury is very important so that the ligament is well protected. This give Jose the best chance for healing. Once the walking boot comes off, his injury will be re-evaluated and the Blue Jays’ medical team will decide on his further treatment plan and eventual return to play. Custom foot orthotics may also be beneficial depending on the injury. If you have injured your toes or feet, Give PhysioNow a call today. We can help!